Imbalance – Gosh, that many? We hear a lot of talk about achieving balance for both horse and rider. Clearly, perception of imbalance really depends on the discipline you choose. We choose dressage, which means that certain behaviours and characteristics of how a horse moves in the field are not required or desired under saddle. That is not to say that there’s something wrong, just that we don’t want any imbalances in the arena. Take a look at the list below to see if you can identify any issues that may indicate some type of imbalance that needs addressing in your training. 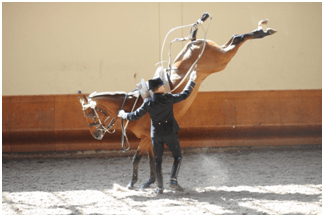 Every horse bends more easily to one side than to the other, this is known as ‘lateral asymmetry’ but if your horse is excessively so you need to address the problem with exercises to help stretch out the contracted side and contract the strung out side. He may have a ‘horizontal imbalance’ (commonly known as on-the-forehand) or a ‘diagonal imbalance’ when the point of the horses weight is off-centre and he goes ‘out through the shoulder’. 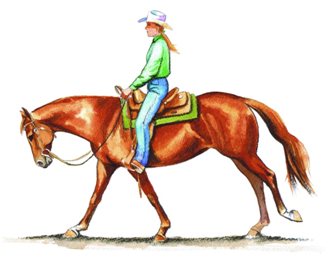 Finally a ‘vertical imbalance’ is when the horse does not give an upright impression but one of leaning (especially in canter) – like a barrel racer. Sometimes I feel a little ridiculous when I think of some of the things I say “oh, my horse’s tail is swishing, that must be an imbalance”! Really????? Yes, really. In the pursuit of perfection every detail counts and whilst I am happy for my horse to swish her tail, if she does it excessively she’s telling me she has a problem.